Jam bands are special to me. Any music I listen to, I try to find a live version. There’s something about knowing a band can recreate their music and actually seeing a band perform that’s so exciting. My favorite part about Jam Bands is that each and every night they create, for one fleeting moment, music that will never again exist in the same form. 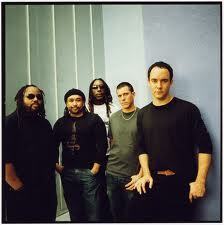 If you think record sales and radio airplay indicate popularity, you’ve never been to Dave Matthews Band concert. I just was watching my sister’s Dave videos from the postponed Governor’s Island shows and it was nuts just how crazy the crowds were, not to mention the band was as good as ever. The diverse instrumentation (electric violin, acoustic and electric guitars, and a horns section) coupled with Dave’s crazy personality and always fascinating lyrics makes this band one of my favorites. There’s no I in team, but there is an I in Dispatch, which is weird because they’re the ultimate team. Most songs feature all three members singing, with each one singing lead at different points and all three switching instruments like it’s their job (which it is of course). In addition to singing harmonies, all three individuals play guitar, bass and some type of percussion. Their most popular song is “The General,” but all the songs they play live are really good, especially the following entitled Mission.